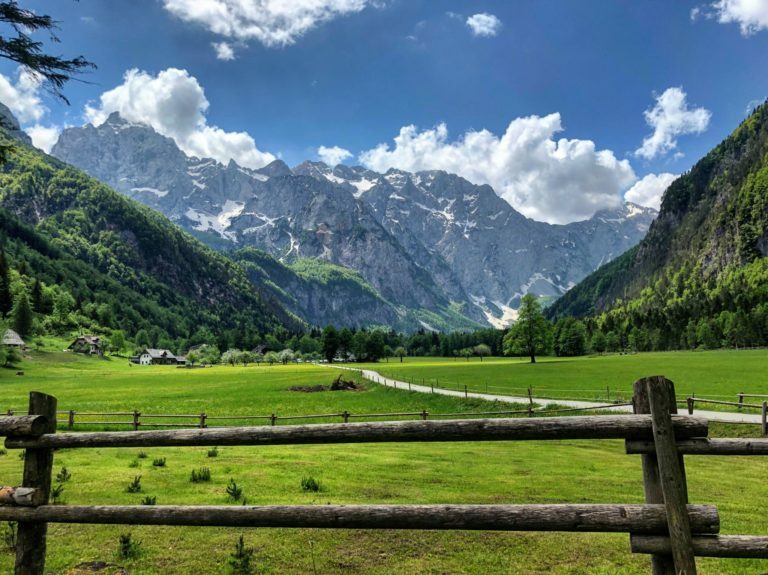 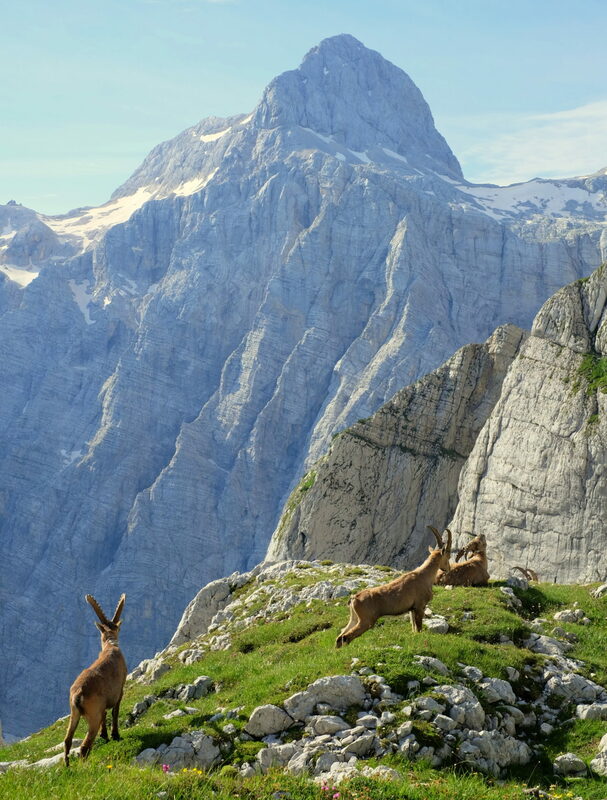 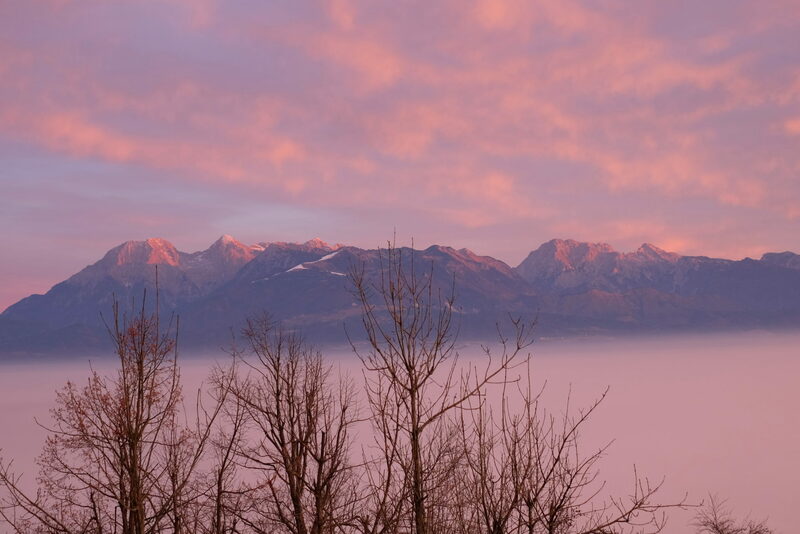 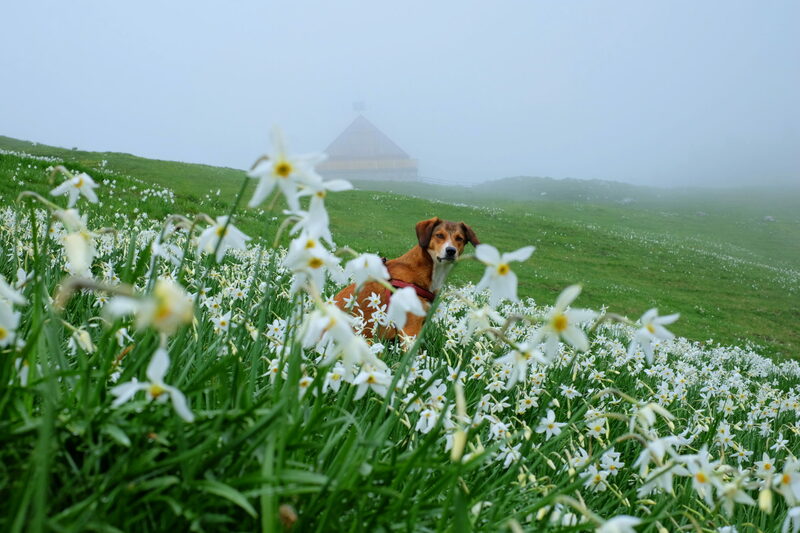 Spring too often seems to take its time arriving in the Slovenian Alps. 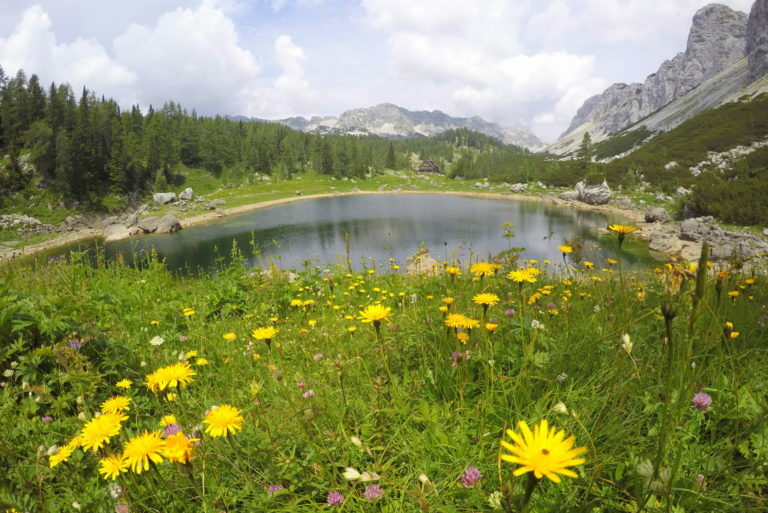 But when it does turn up, it creates otherworldly scenery spreading wildflower colors everywhere. 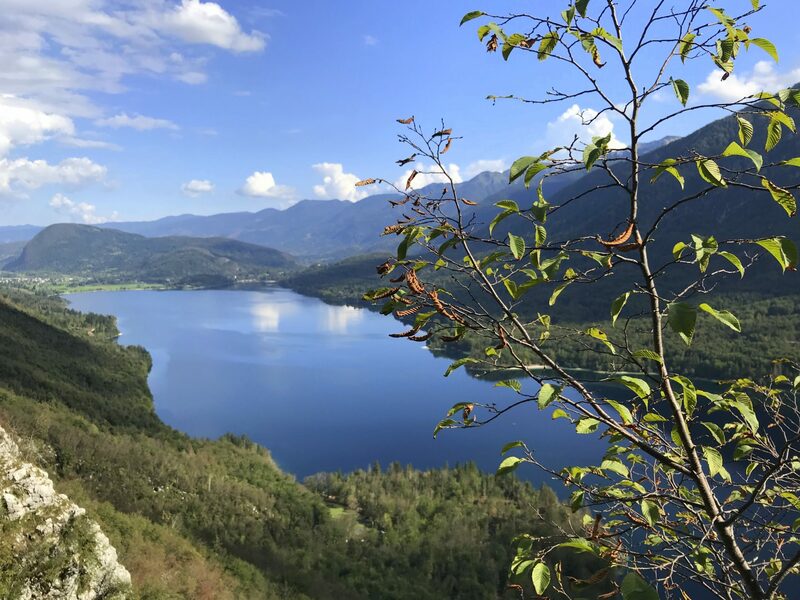 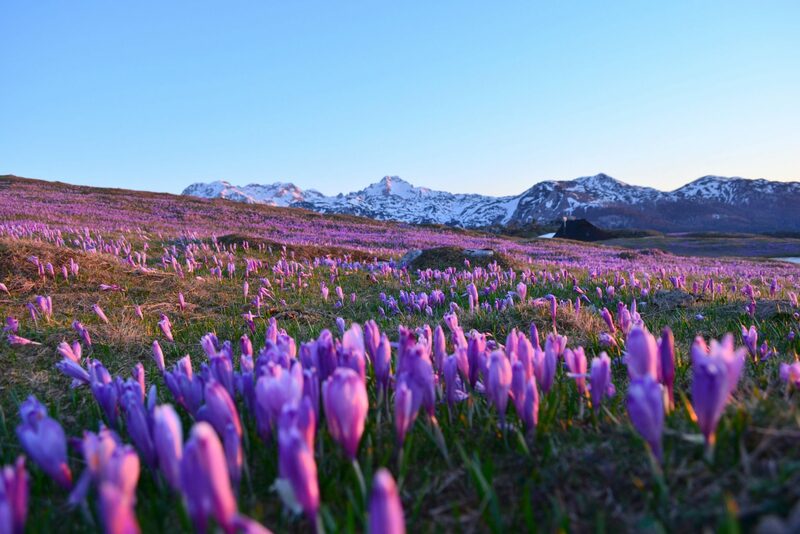 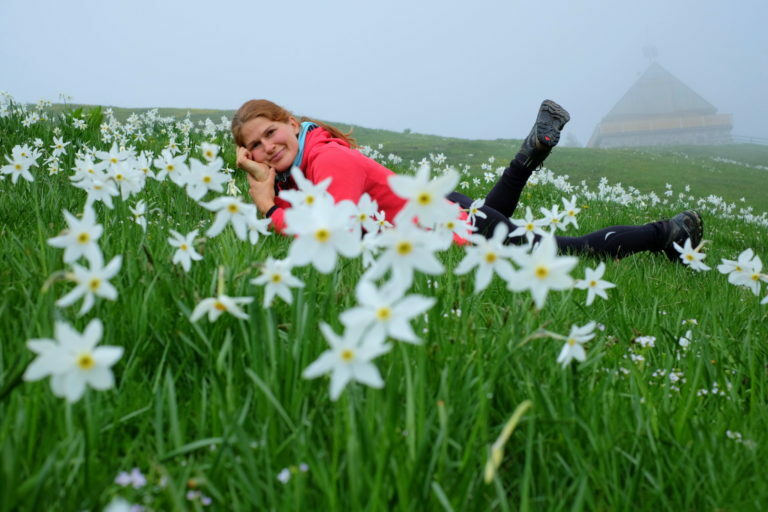 While in May you can find glorious spring practically everywhere at different elevation, there are a few spots particularly famous for their blooming flowers. 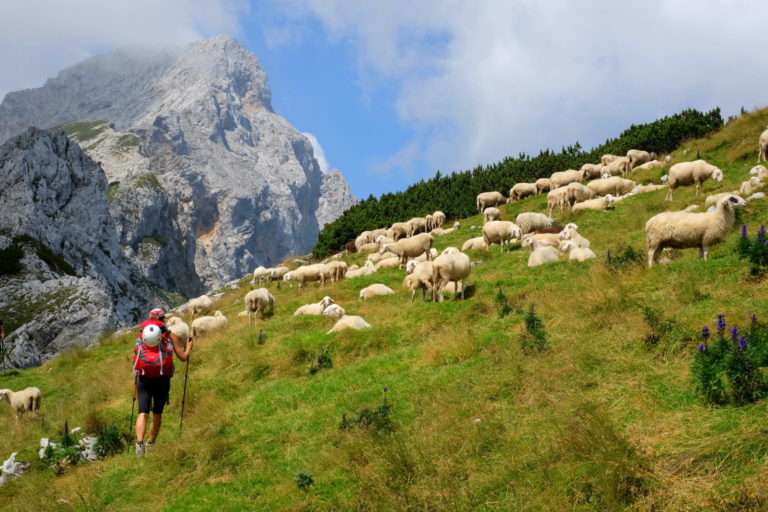 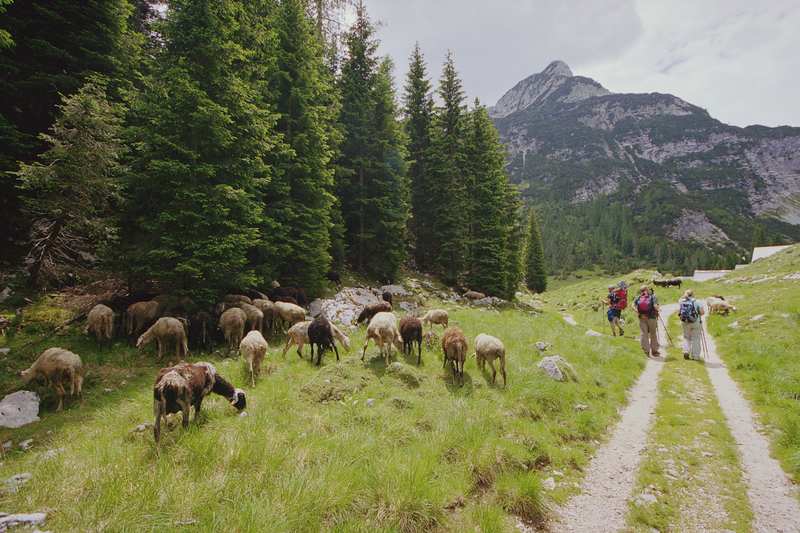 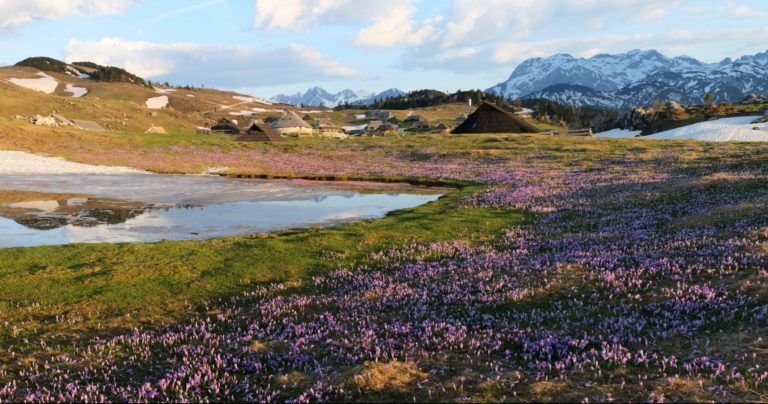 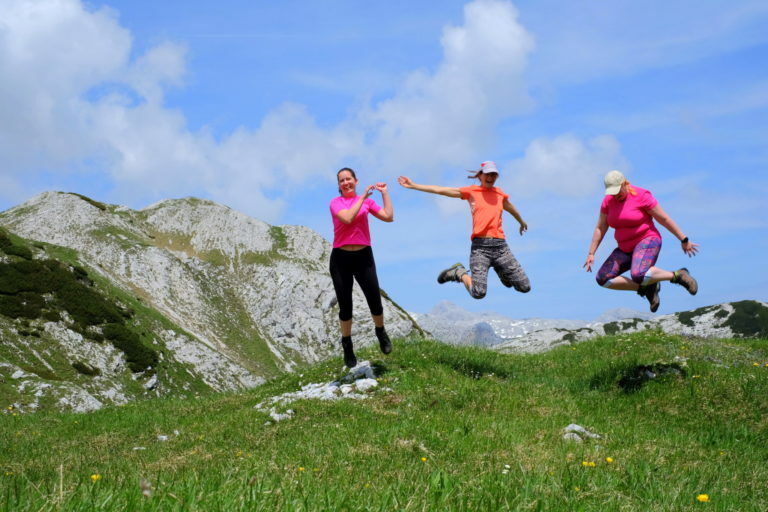 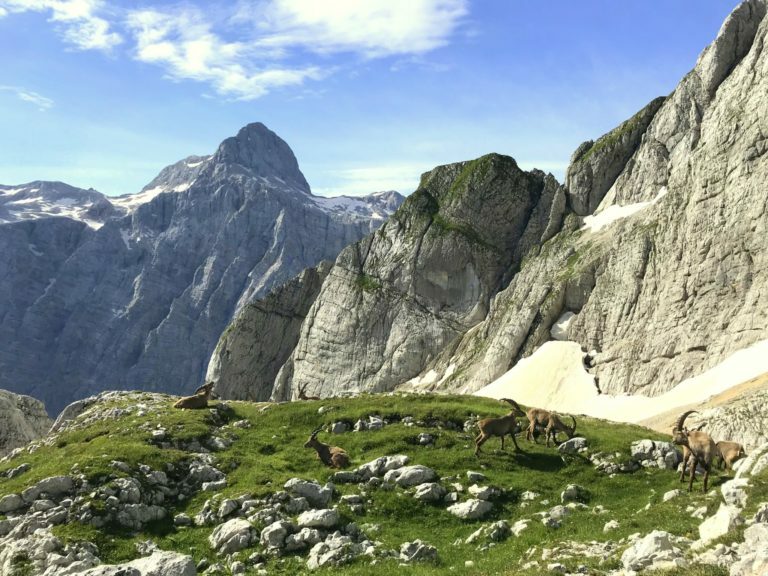 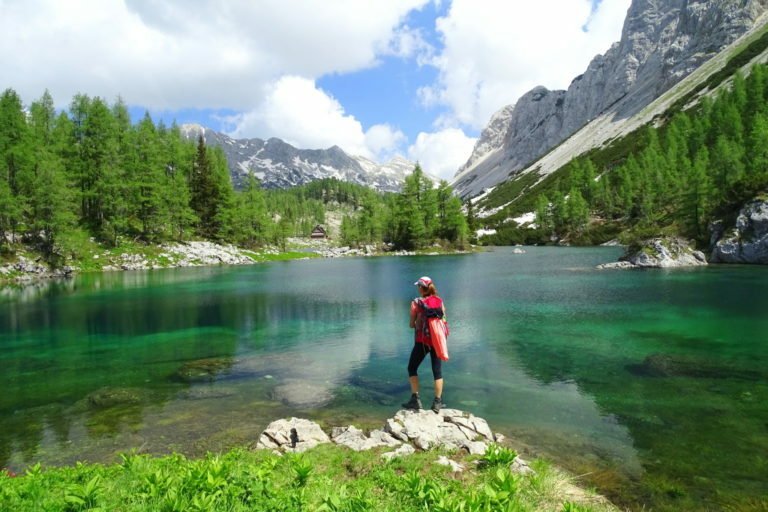 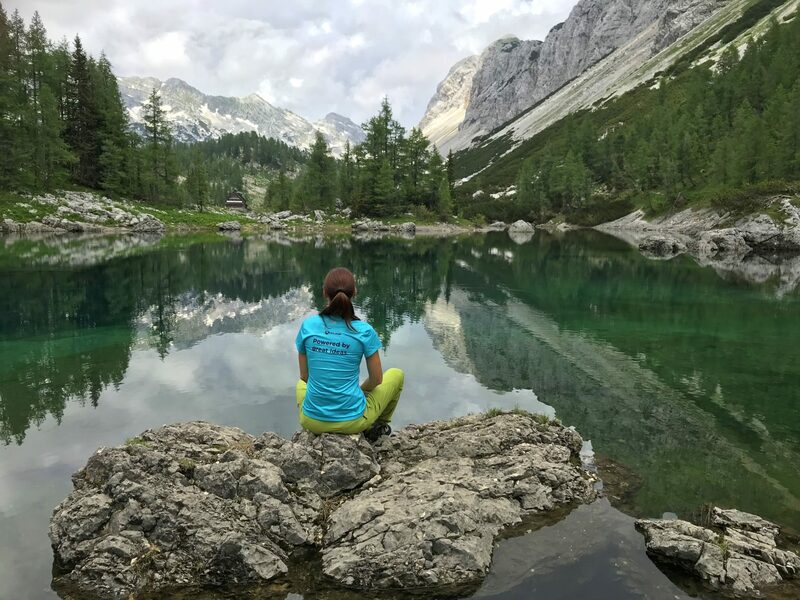 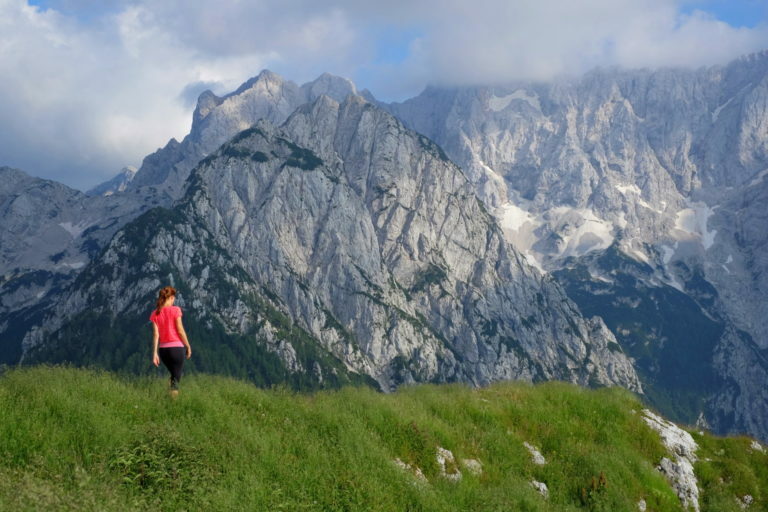 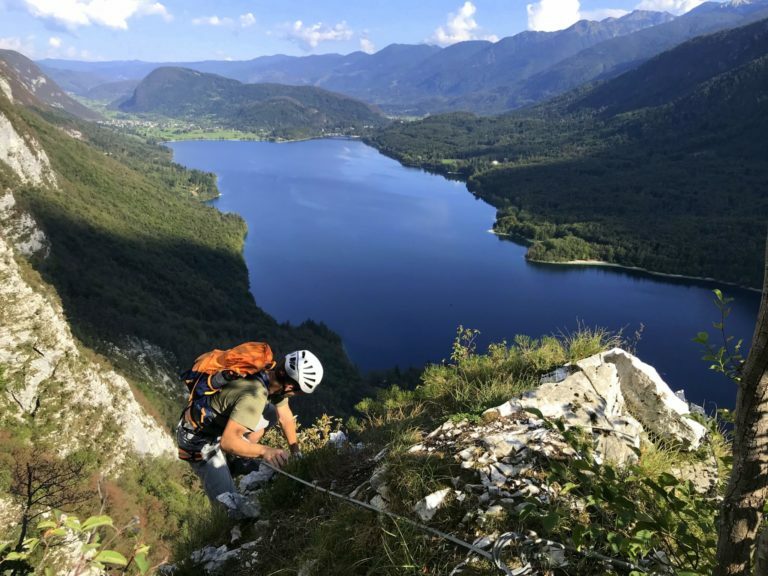 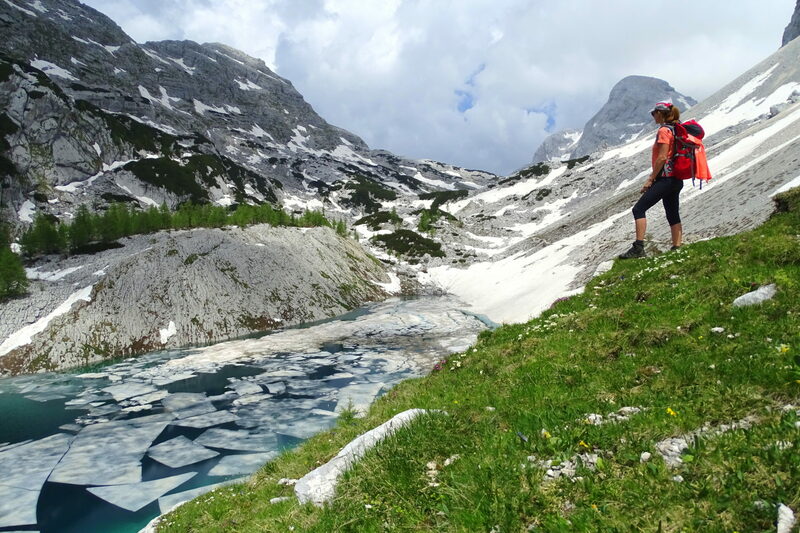 Yes, I’ve written about Velika Planina and Golica already, but here is yet another beautiful flower hike, which against all odds isn’t crowded at all. 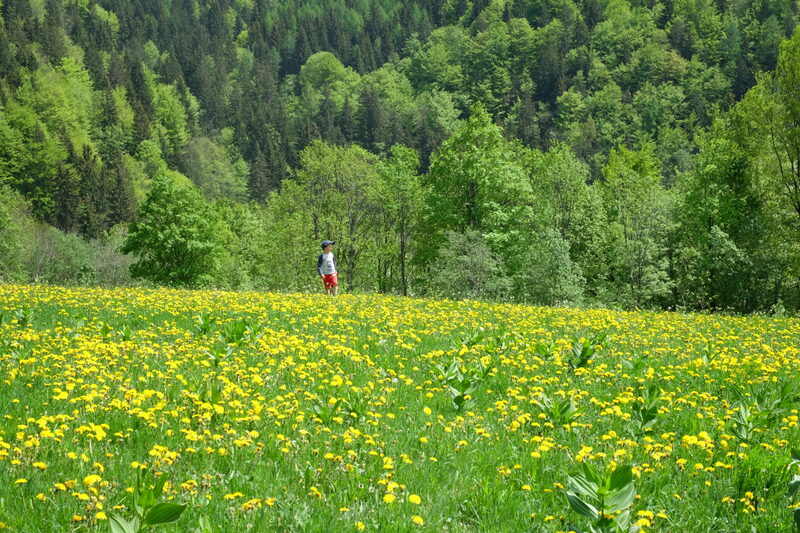 Long yellow meadows of dandelions blooming somewhere at the beginning of the Dovška Baba trail.